The Supreme Court gave life term to the owner of Saravana Bhavan chain of hotels, P Rajagopal, for the murder of an employee in 2001. According to The Hindu, 18 years ago, accused Rajagopal had hired men to abduct and murder the victim identified as Prince Santhakumar, who had married Jeevajothi, (the love interest of Rajagopal). She was the daughter of an assistant manager at Saravana Bhavan's Chennai branch. Rajagopal wanted to marry Jeevajothi and make her his third wife to which she totally objected. She later married Shantakumar in 1999. But the issues did not end there, in 2001, Jeevajothi and her husband Shantakumar filed a police complaint, stating that they were being threatened by Rajagopal and his aides. Days later, Shantakumar's body was found at Perumalmalai in the Kodaikanal forests. Rajagopal was out on bail and will have to surrender by July 4. This page contains news relating to various facts and events. The views are generally about current affiars and general topics in diversified areas such as political, international, national, and regional issues, sports, health, travel, lifestyle, technology and business. People having similar interets on the above topics will find this page useful. 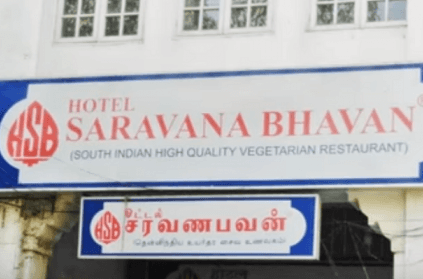 Supreme Court confirms life term for Saravana Bhavan owner Rajagopal | Tamil Nadu News.